When you visit the doctor or go to the hospital, you expect to receive treatment to improve your health. And this is what happens most of the time; doctors, nurses and other healthcare staff work hard to care for patients and provide excellent care. But healthcare is complicated and mistakes sometimes happen. Keeping patients safe is an important part of the healthcare process. 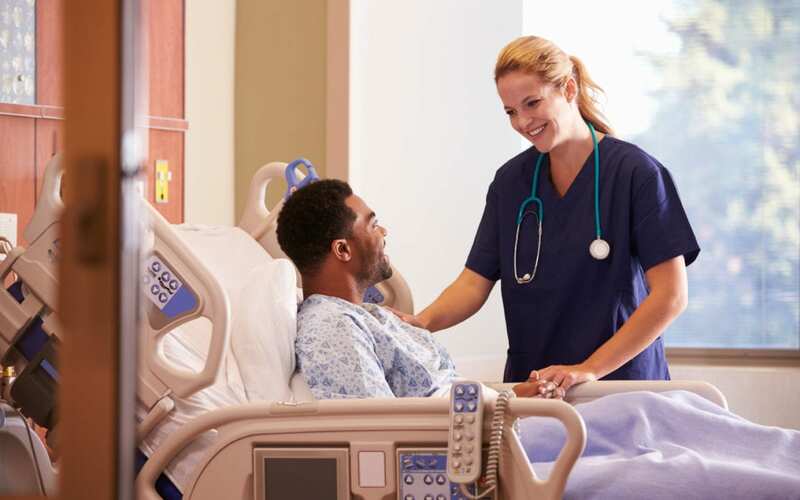 Here, we look at the importance of patient safety and how SLMA works to keep patients safe. Safety relates to a lack of harm while quality relates to getting the job done with effective, efficient and purposeful care. Safety works to avoid bad events while quality works to do things well. Safety makes mistakes less likely while quality improves the overall care experience. Diagnostic errors include a missed, wrong or unintentionally-delayed diagnosis. Sometimes symptoms are unusual or masked or the patient doesn’t fully cooperate in care making it difficult to diagnose the disease. Errors also sometimes occur due to system problems like equipment malfunction or a lack of communication. When a person gets an infection while being treated it’s called a healthcare-acquired infection. The infection must occur after the treatment begins and can occur during treatment at a medical facility or during home treatment. The most common types of healthcare-acquired infections are catheter-related bloodstream infections, hospital-acquired pneumonia and surgical site infections. Medication errors occur when patients receive the wrong medication. They also include receiving the right medication but in the wrong dose, at the wrong time, or in the wrong way. For example, a medication error could be giving a patient a pill form of the medication when the liquid form is more appropriate. Talk to a healthcare provider right away; if possible, someone closely related to your care like the bedside nurse. Don’t wait if there’s not someone related to your care close by; all healthcare members are there to help make your care safe. Make it clear you want to hear back about the issue and see the problem resolved. Use the system for reporting errors if the organization has one, like a hot line or suggestion box. As you can see, there are many problems with not making patient safety a priority. On the other hand, a strong emphasis on patient safety helps protect patients and creates an environment where better overall care is possible. Patient safety protocols can help reduce medical mistakes and prevent adverse patient outcomes. When the goal is to help people, it seems obvious that it’s important to work to protect them from unintended or unexpected harm. Teamwork, good communication and a series of checks to prevent mistakes are some of the ways healthcare organizations can promote patient safety. Hospital-to-hospital partnerships can also help improve quality of care and patient safety as they work together to increase patient safety learning and develop solutions. At SMLA, we make patient safety a top priority. Our healthcare team continuously strives to keep patients safe and free from harm. We work together to implement procedures and practices that help create a safe environment for everyone who comes through our doors. By monitoring our progress, we can determine what’s working and what’s not, and take steps to strengthen and improve weaker areas. We always seek to use the technology and knowledge at our disposal to promote patient safety and help our patients feel safe and comfortable. Patient safety is an important part of healthcare. A strong focus on safety helps protect patients and reduce negative health outcomes. When you need healthcare, ask about ways your healthcare team promotes patient safety. Remember that you are part of your healthcare team, so speak up if you notice something that concerns you.